The student-led protest group, March For Our Lives, which emerged after the tragic events that took place at Marjory Stoneman Douglas High in Parkland, FL, has gotten innovative with their use of QR Codes in their focus on opposing gun violence. Former Stoneman student, Jammal Lemy, a local T-shirt designer, was asked by the group to design t-shirts to help fund their tour around the US. The shirts depict and American flag-like symbol with a QR Code where the stars would be. The stripes have been altered, with several more added an varying thickness resembling linear barcodes. The objective is to help register as many youth voters as possible for the November midterms. Simply scanning the QR Code with their smartphones sends the scanner to a voter registration page. With 38 states allowing online registration, the shirts will likely make an impact (especially in the upcoming November elections). 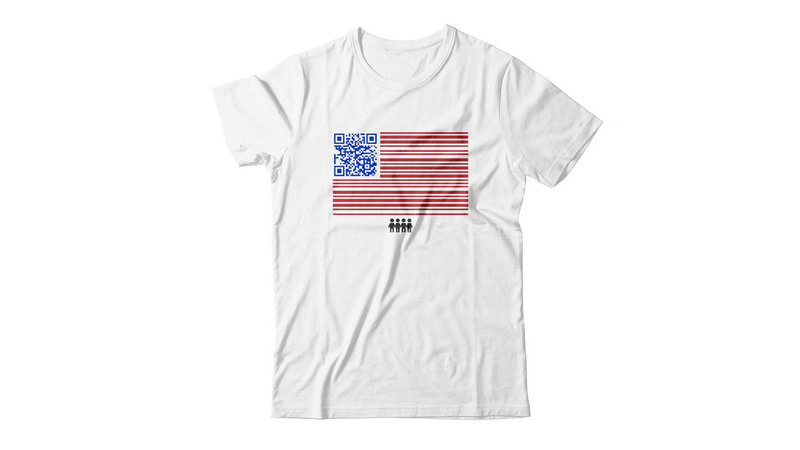 In fact, it has been reported that as of a week ago approximately 10,000 people have already registered to vote by simply using the shirts — and utilizing QR Codes! dezeen.com // Photo Cred, dezeen.com.